Every once in a while, amid the hoards of pink helium balloons and the girly hued guns, a campaign surfaces during Breast Cancer Awareness Month that nails what the October initiative is all about. 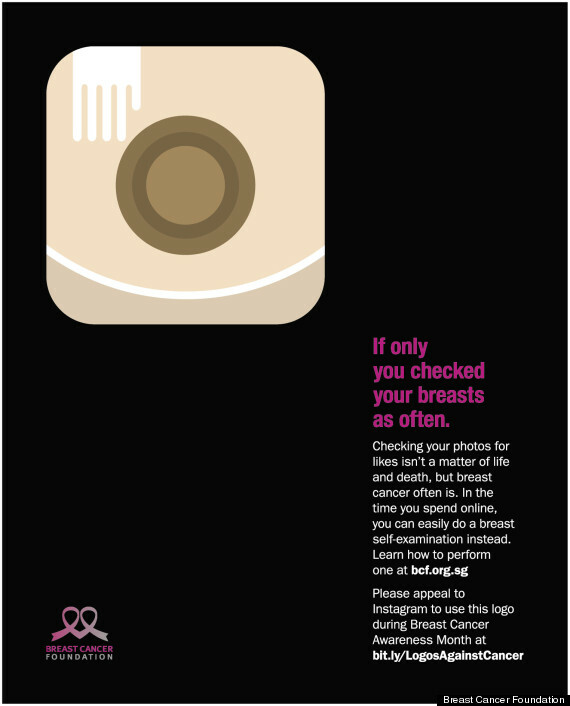 The latest one comes courtesy of the Singapore-based Breast Cancer Foundation (BCF), which aims to put an end to the disease through its educational programs and publications. 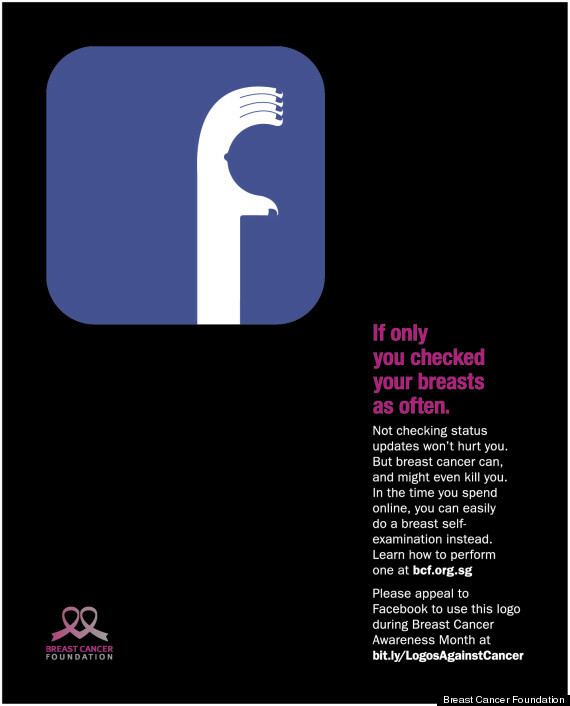 The organization also advocates for regular screenings and is urging women to check their breasts for suspicious lumps as often as they check Facebook, Twitter and Instagram. It’s a powerful statement, particularly for American women, considering how connected they have become to their social media accounts. According to FinancesOnline.com, 30 percent of U.S. adult women used social media several times per day in 2013, compared to 26 percent of men. And more women than men used Facebook, Twitter and Instagram. Putting early detection into such stunning context is key in light of the disease's prevalence. Every 19 seconds, somewhere in the world, a person gets a new breast cancer diagnosis. In the U.S., a woman is diagnosed every two minutes and one woman dies every 13 minutes from the disease, according to Susan G. Komen President and CEO Judith Solerno. To help spread the word about the campaign, BCF has asked supporters to petition Facebook, Twitter and Instagram to employ their awareness logos. "Not checking social media updates may not impact your lifestyle," the organization's campaign site states. 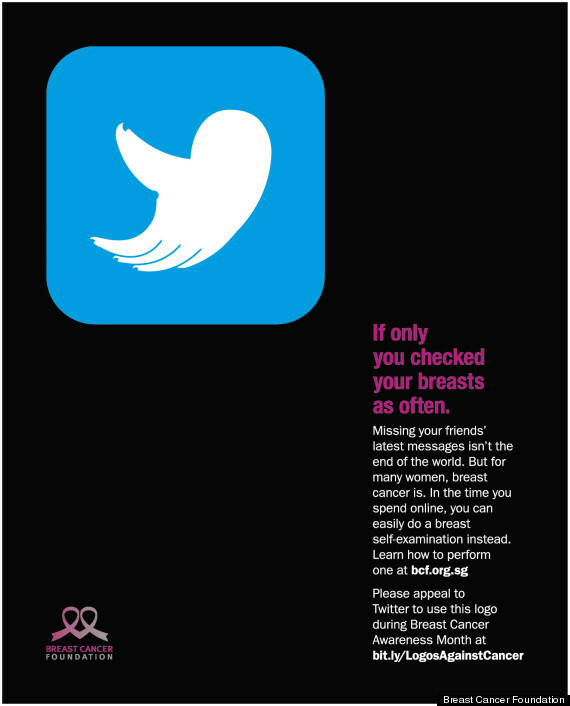 "But not doing regular breast self-examinations affects your life and others around you." Find out how you can support the Breast Cancer Foundation’s petition here. The actress, who beat ovarian cancer close to a decade ago, shared last month that she had been <a href="https://www.huffpost.com/entry/kathy-bates-breast-cancer-double-mastectomy_n_1878208">diagnosed with breast cancer and underwent a double mastectomy</a>, The Huffington Post reported at the time. "Luckily, I don't have to undergo radiation or chemo," <a href="http://www.people.com/people/article/0,,20628972,00.html">she told <em>People</em> magazine</a>. "My family calls me Kat because I always land on my feet and thankfully this is no exception." <a href="https://www.huffpost.com/entry/kathy-bates-breast-cancer-double-mastectomy_n_1878208">She also shared the news on Twitter</a> -- with her signature sense of humor intact. "I don't miss my breasts as much as I miss Harry's Law. ;-) Thanks for all the sweet tweets," she wrote. "Y’all kept me going."